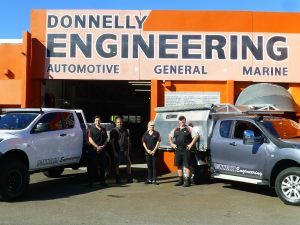 Welcome to Donnelly Engineering’s blog! We’ve moving up in the world of technology and social media, yet again. Did you know we’ve been running as a business for 26 years?! As a business, it’s incredible to reflect on how we’ve run over the years and how technology has evolved as our business has. Gone are the days of mail outs. Now it all happens at the push of a button! As easy as it is to share invoices, payments, newsletters, updates, and pretty much anything you could need as a business, we still strive to keep personal relationships with our customers. When we can we like to pick up our jobs and deliver our finished work. It gives us great satisfaction to see our customers leave us happy. We are very excited to have just reached 300 followers on Facebook today! We’d like to thank everyone for your support. 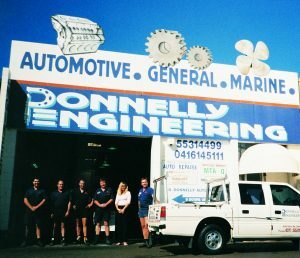 We’ve decided to start use blogging as a way to provide our customers and internet followers with a little more depth and insight into the work we do here at Donnelly Engineering. We will aim to share with you once a week (or more if we can!) the current jobs we’re working on, helpful tips and tricks, and even some previous jobs we shared on Facebook, but with more information about the process. If you have questions about anything engineering related, or would like to see us post about something in particular, be sure to leave us a comment! Our list of services for general & marine engineering and engine reconditioning are on our website so for the meantime be sure to check them out! We thought we’d share these two contrasting photos of our business as it has evolved significantly over the years!